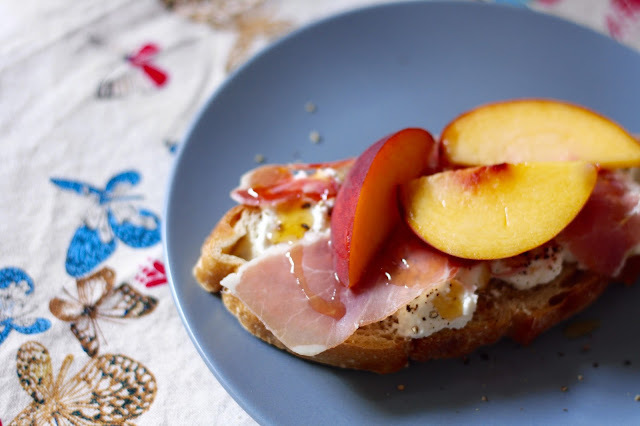 Halve, pit and thinly slice peach. Spoon 1 tablespoon ricotta onto toast and sprinkle with ground pepper. Tear prosciutto into feathery pieces and drape a few slices over ricotta on each. Drizzle with honey and top with two-three peach slices.